This unified energy flow brings us experiences of balance and healing for our physical, emotional, mental and spiritual dimensions of consciousness. Reiki is a powerful yet, very gentle energy healing technique. 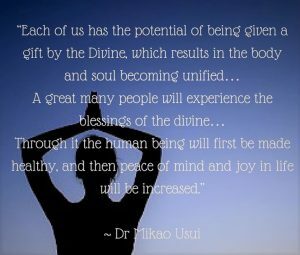 During a Reiki Healing the body draws upon Universal Life-Force Energy. This flow of energy supports our innate ability to heal. The healing capacity of Reiki Healing is limitless. Regular Reiki creates the opportunity for these dimensions of consciousness to be regularly reminded what it is like to be in a state of balance, peace and harmony. This remembering creates a motivation within us to flow more easily through life rather than in a states of stress. Do you remember at school when we played with two long skipping ropes? We would swing them in opposite directions. Imagine we put a third rope into the swinging action. Three ropes swinging in different directions – a bit of a tangled mess. Now imagine that one of the ropes represent our physical body, one represents our external energetic field, and one our internal energetic field. 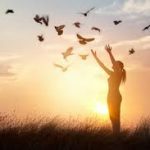 Most of us live our lives with these three fields moving like the tangled mess – Reiki Healing brings them into a unified flow. With the unified flow we feel balanced and in a place of personal well-being. It is in this place where the internal, physical, and external energy fields flow as a unified unit. 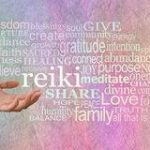 This is a place similar to one that people flow to while experiencing Meditation – the added bonus of Reiki is the Universal Life-Force Energy. Reiki flows to enhance, harmonize and balance the energy of the one receiving the healing. 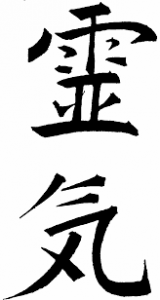 A unique feature of Reiki is that it also offers healing support to the person offering the healing.